Wall Street is a physical street that is seven blocks long and runs from Broadway to the New York East River. It lies to the south of the Manhattan borough of New York City. The street is incredibly significant because it has played host to a number of the most important financial entities in the United States. The city originally got its name because of an earthen built wall that Dutch Settlers of the city erected in 1653 to ward off an anticipated invasion of the English. The street’s importance grew so rapidly that before the Civil War in America this was already known as the nation’s sole financial capital. In the district of Wall Street there are many important buildings and headquarters. The street contains the Federal Reserve Bank, the New York Stock Exchange, the International Commodity, Cocoa, Sugar, Coffee, and Cotton Exchanges, and the NYSE Amex Equities. There are also numerous municipal and government bond dealers, investment banks, trust companies, and insurance and utilities’ headquarters located here. A great number of the major American brokerage firms have their headquarters in this financial district. Because of Wall Street, New York City is sometimes called the most important financial center in the world as well as the greatest and most powerful city economically. Investors find the two biggest stock exchanges in the world as measured by market capitalization here in the NASDAQ and the New York Stock Exchange. A few other significant exchanges also make or made their headquarters here. These are the New York Board of Trade, The New York Mercantile Exchange, and the one time American Stock Exchange. In the 2000’s there were seven major Wall Street firms here. These included Lehman Brothers, Merrill Lunch, Morgan Stanley, Goldman Sachs, Citigroup Inc, JP Morgan Chase, and Bear Stearns. Several of these companies failed outright or had to be sold at urgently distressed prices to rival financial companies in the Great Recession that ran from 2008-2010. Lehman Brothers had to file for bankruptcy in 2008. The U.S. government made JP Morgan Chase buy Bear Stearns. The Treasury and the Federal Reserve then forced Bank of America to purchase Merrill Lynch. The catastrophic collapse of this many major financial firms dramatically downsized Wall Street with massive re-structuring. It proved to be especially severe for the economies of New York City and the surrounding states. This was because the financial industry in New York produced nearly a quarter of all income in the city. It also amounted to about 10% of all tax revenue for the city and 20% of taxes for the state of New York. City and state government revenues and budgets suffered dramatically from this loss of revenue for years. 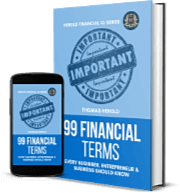 The Boston Consulting Group estimated in 2009 that as many as 65,000 jobs were permanently gone as a result of the financial crisis. This city and financial center has grown to become a global symbol for investment and high finance. Movies have been made about it including two with the same title Wall Street and its sequel Wall Street: Money Never Sleeps. The financial district has become a part of modern mythology in many ways starting back in the 1800s. The street emerged as a hated symbol of the greedy robber barons who took advantage of workers and farmers to the populists of the 19th century. When times were good it represented the way to get rich quick. 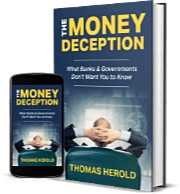 Following such terrible stock market crashes as 1929 and 2008 the street looked like the home of financial manipulators who could crush major international companies and even derail the economies of entire nations. 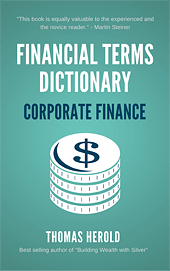 The term 'Wall Street' is included in the Corporate Finance edition of the Financial Dictionary. You can get your copy on amazon in Kindle or Paperback version. See more details here.